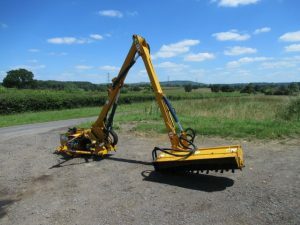 TWOSE 520S Hedge Cutter Hedge cutter with joystick controls, 1.5m head and 90 degree slew. 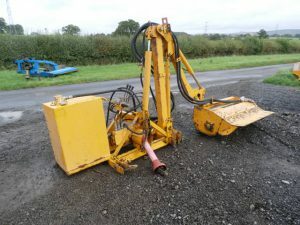 BOMFORD B577 Hedge Cutter Hedgecutter with joystick controls, 5.7m reach and 1.2m head. 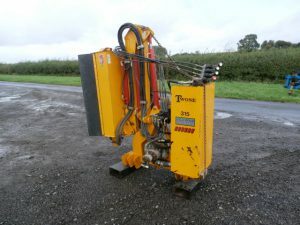 TWOSE 315 RI Compact Hedge Cutter Compact hedge cutter with cable controls; ideal for 30hp compact tractor. 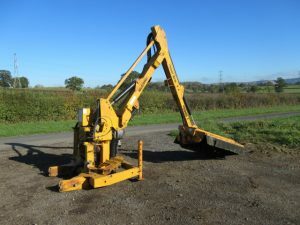 BOMFORD B4035P Hedge Hedge cutter with manual controls and 1m head; ideal for 50hp tractor.